2,The retention time of the main peak in the chromatogram of the Assay preparation corresponds to that in the chromatogram of the standard preparation. As obtained in the Assay. 1) Anticoccidial drugs. 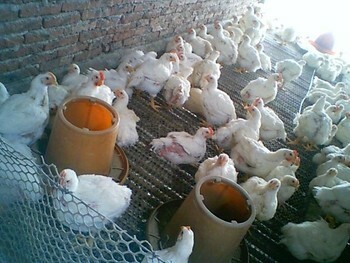 For the treatment of poultry coccidiosis. The product of the chicken type of reactor, Brinell, giant, soft, gentle poison Eimeria; turkey Eimeria gland, turkey Eimeria; and goose goose Eimeria ball. Insects, cross-sectional shape Eimeria have good suppression of killing effect. 3) For Rabbit, 15mg drug material fed on rabbit liver and intestinal coccidiosis coccidiosis extremely effective. Anticoccidial drugs for animal use, it can effectively kill the parasites, including coccidiosis, a variety of Eimeria.